Huge thanks to Seventh Street Books for this copy! One of those people is his "special lady," and the other is her brother, a teenager and fellow psychopath called Bobby. When a wily homicide detective starts digging up that past murder, little Bobby offers to take care of the problem--permanently. Dominic tries to dissuade him, but as he himself knows, psychopaths aren't good with following instructions. Or impulse control. Of course, that means some sleight of hand and a sacrifice or two. But if there's one thing a psychopath doesn't mind, it's sacrificing other people. Mark Pryor is a former newspaper reporter from England, and now an assistant district attorney with the Travis County District Attorney's Office, in Austin, Texas. 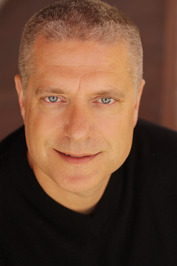 He is the creator of the nationally-recognized true-crime blog D.A. Confidential. He has appeared on CBS News's 48 Hours and Discovery Channel's Discovery ID: Cold Blood. THE BOOKSELLER was his first mystery novel and upon release was Library Journal's Debut of the Month with a starred review. RT Book Reviews called it "a fantastic debut!" and gave it 4 and 1/2 stars, and Oprah.com listed it as an "unputdownable mystery." "[G]ood character development, increasing levels of action and suspense, a complex and deranged antagonist, and--once again--appealing Paris settings. The Hugo Marston series now belongs on every espionage fan's watch list." "Haunting imagery in Père La Chaise cemetery sets the stage for Pryor's chilling sophomore entry, and the City of Light becomes a backdrop for Marston's adventures. The clever antagonist leads him on a merry chase that will keep the reader entertained throughout." 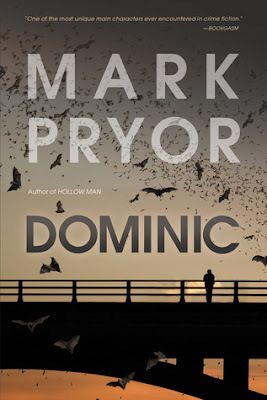 "Two young lovers make the fatal mistake of sneaking into Paris's Père Lachaise Cemetery the same night as a bone-stealing psychopath in Pryor's propulsive second novel starring affable former FBI profiler Hugo Marston.... The engaging characters sweep readers into a suspenseful chase from Pigalle to the Pyrenées." "Mark Pryor is one of the smartest new writers on the block. His new novel is a doozy." Mark is also the author of the true crime book, AS SHE LAY SLEEPING, which is the account of a "cold" murder case he prosecuted. Published in January 2013, Publisher's Weekly gave it a starred review and called it "compelling" and "riveting."